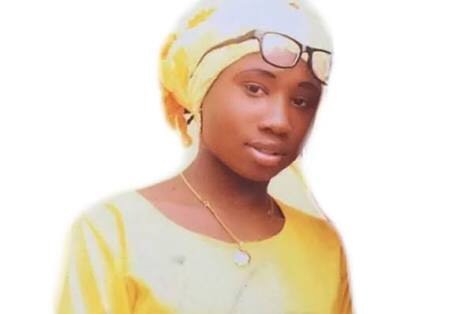 A coalition of christian bodies in Nigeria has called on President Muhammadu Buhari-led federal government to deploy everything within its powers to facilitate the release of Dapchi, Borno State school girl, Leah Sharibu who has remained in Boko Haram captivity after 112 others abducted along with her were released, or lose the support of Christians in the forthcoming presidential election. The group, which included Christian Association of Nigeria (CAN); a faith-based organisation, Catalyst for Global Peace and Justice (CPJ); Pentecostal Federation of Nigeria (PFN); Every Nation Ministries; Christian Lawyers Fellowship of Nigeria (CLASFON), and others, warned that failure to secure Sharibu’s release would have negative impacts on the president’s second term ambition. Addressing a press conference yesterday, at the National Christian Centre, Abuja, to drive home their agitation for the release of Leah and other persons abducted by the insurgents, particularly after Boko Haram threatened to kill the young girl, the convener of CPJ, Mr. Abraham Aiyedogbon said: “The president stands a better chance to get votes from us if he ensures the release of Leah Sharibu, but if he doesn’t, we know what to do. We will be doing RSVP – Register, Select, Vote and Protect our votes. “We, therefore, call on the federal government to do all within its powers to ensure the immediate release of Dapchi school girl, Sharibu. It is bad enough that following the abduction of over 200 Chibok girls in 2014 by Boko Haram extremists and the opprobrium that it brought on the Jonathan administration then, the Buhari administration would allow the recurrence of that incident with the February 2018 kidnapping of Dapchi girl. Aiyedogbon said churches in over 70 countries around the world, in conjunction with CAN, the umbrella body of all Christians in Nigeria, were worried about the threat by Boko Haram terrorists to kill abducted Dapchi school girl, Sharibu and two others in their custody the same way they murdered Suifura Khorsa, a health worker with the International Committee of Red Cross..